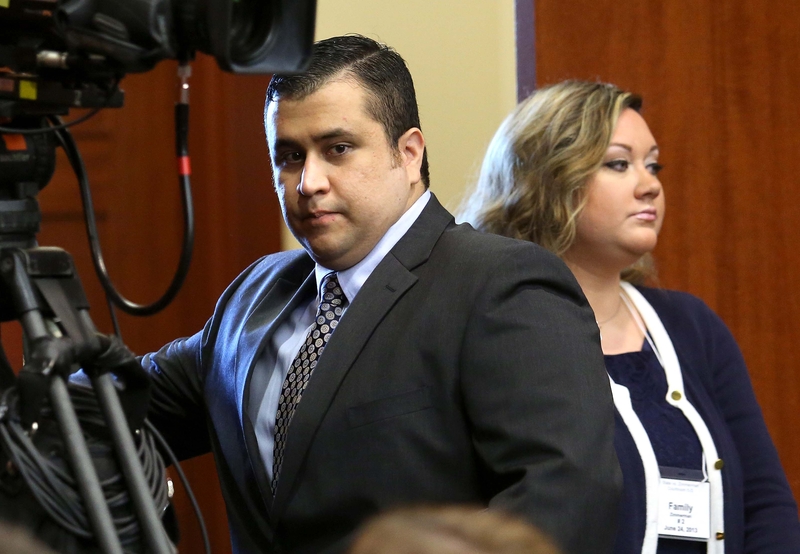 George Zimmerman Trial: Why are only six jurors weighing murder suspect's fate? (CBS) SANFORD, Fla. - In the United States, defendants who face felony charges are typically afforded the right to a 12-member jury. So why not George Zimmerman? Last Thursday, it was announced that six women were selected to cmrise the jury in the second-degree murder trial of the Florida neighborhood watch volunteer who fatally shot 17-year-old Trayvon Martin during a confrontation in a gated community in Sanford last February. He has pleaded not guilty to the charge, claiming self-defense. For many years, the Constitution was interpreted as guaranteeing a trial by a 12-member jury. However, in Williams v. Florida, a Supreme Court ruling in 1970, it was decided that at least six persons is "large enough to promote group deliberation, free from outside intimidation, and to provide a fair possibility for obtaining a cross-section of the community." It was also noted in the ruling that there is "no discernible difference between the results reached by the two different-sized juries." However, in Ballew v. Georgia, the Supreme Court ruled in 1978 that reducing the number of jurors below six created a "substantial threat" to the sixth amendment. Zimmerman's trial follows Florida statute 913.10 which says "twelve persons shall constitute a jury to try all capital cases, and six persons shall constitute a jury to try all other criminal cases." One concern that arises over smaller jury sizes is that they do not as effectively represent the community. In Zimmerman's trial, where race and ethnicity play a prominent role in the case, the court has not disclosed the racial makeup of the jury. However, some reports have said the panel consists of five white women and a sixth woman who may be Hispanic. Opening statements took place Monday and the trial is expected to last anywhere from two to four weeks, during which time the jury will be sequestered. The jury will have to reach a unanimous decision to convict Zimmerman.